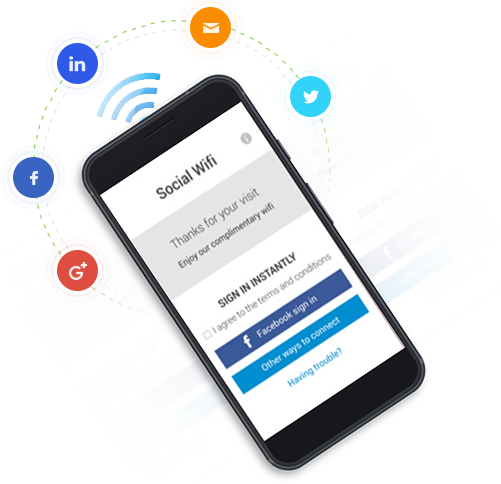 Transform your guest WiFi into a powerful social WiFi marketing, research, and customer insights tool. 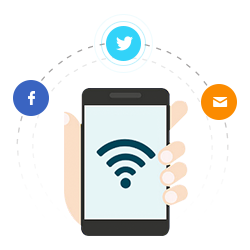 Provide one-click access to your Wi-Fi via Facebook, Twitter, email and other popular social sites. Get access to guest’s age, gender, interests, email, and other key attributes. 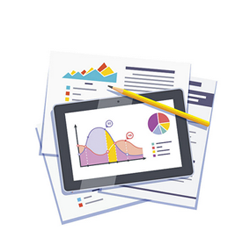 Understand the demographics of your visitors and engage with them in an opt-in model. View footfall analytics by visitor type such as age group and gender by integrating with Aislelabs Flow. Engage with the right visitor at the right time. 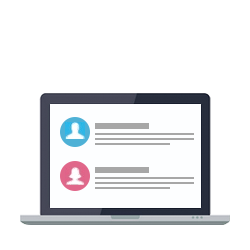 Create multi-channel marketing campaigns with email, SMS, and social posts. Use rule-based marketing platform for real-time personalized communication. Provide your visitors with effortless sign-in and a frictionless experience. Embrace new ways to engage with a user, beyond just splash pages or tedious sign-ups. We work with your existing infrastructure, so no new hardware is required. Easy to use cloud system backed by a robust and scalable enterprise-grade location platform. Customizable captive portal Self-serve management of the splash page design. Personalize landing page based on user's profile. Many sign-in options Choose between social logins, form based registration, email, SMS, 3rd-party identity services, or employee-only authentication. Multi-channel marketing Choose from instant emails, SMS, personalized newsletters, in-app push notifications, social posts, or paid media ads to engage. 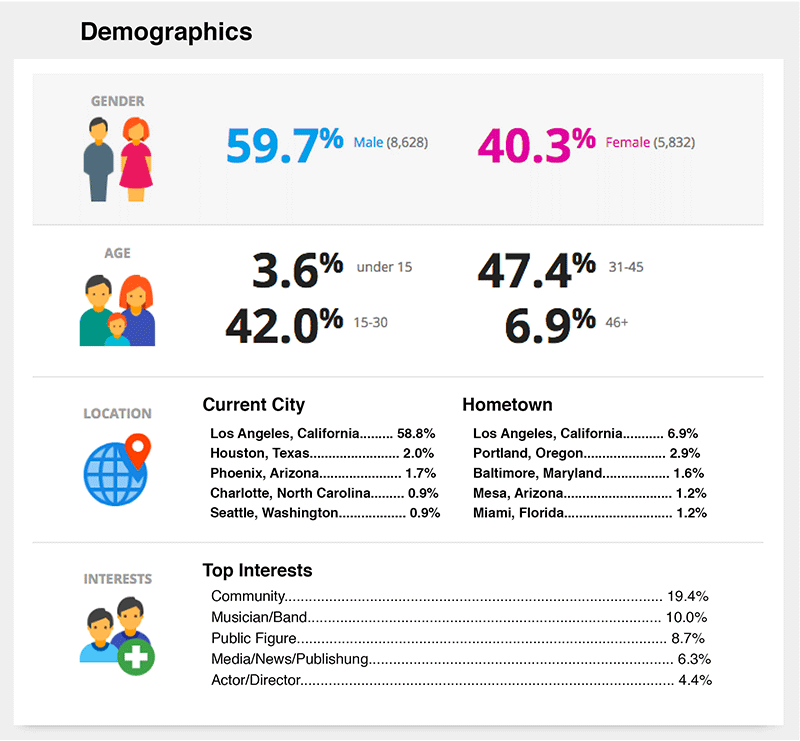 Demographic analytics Understand visitor behaviour by age, gender, location and interests. 80+ reports to choose from. Build loyalty CRM Add hundreds of thousand of new customers to the CRM database. Grow marketing lists. More repeat visitors Proven to bring visitors back to the venue. High open rates, high repeat rates, for campaigns using Social WiFi lists. Self-serve management of the splash page design. 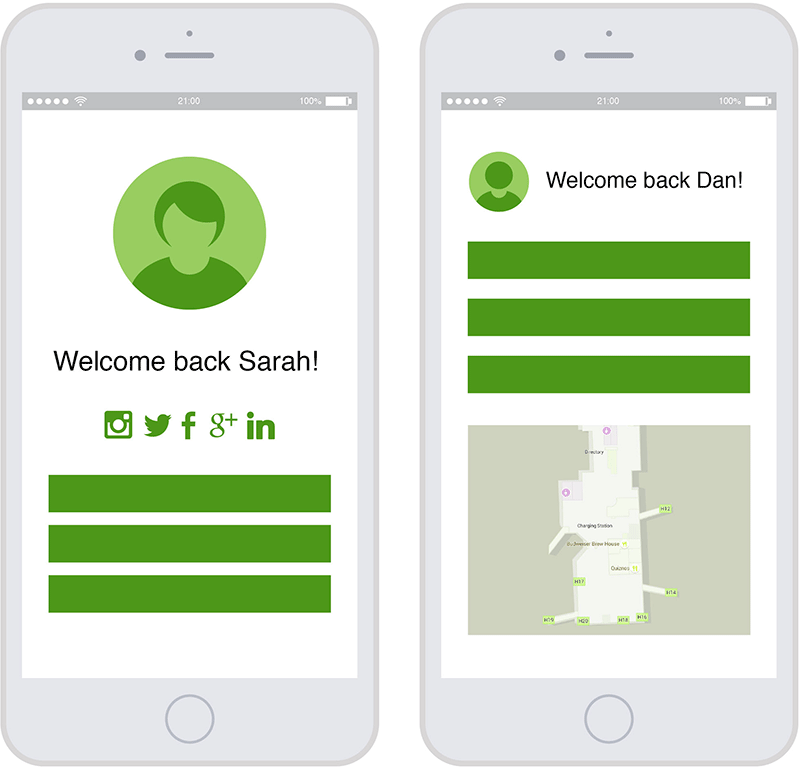 Personalize landing page based on user's profile. 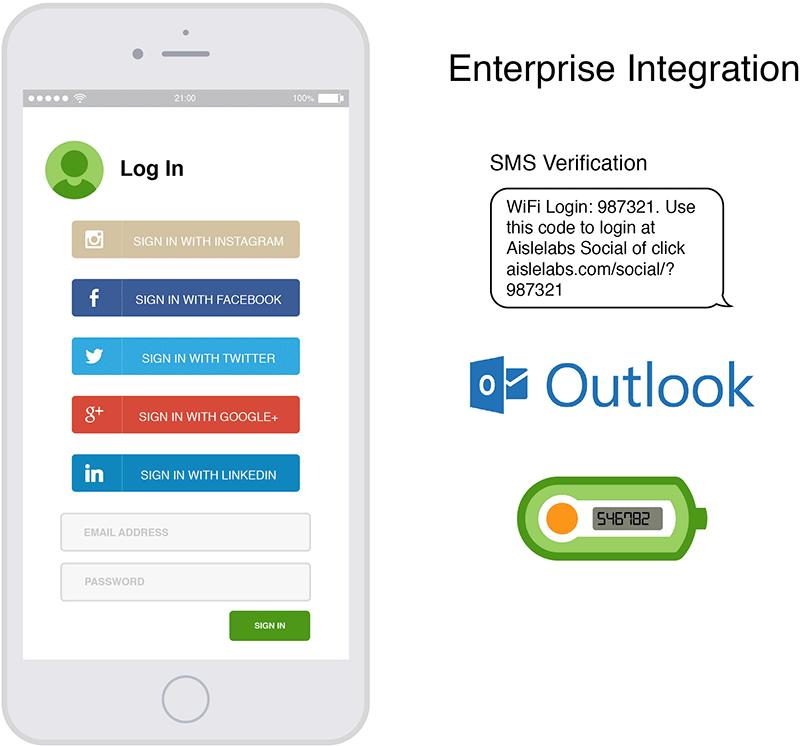 Choose between social logins, form based registration, email, SMS, 3rd-party identity services, or employee-only authentication. Choose from instant emails, SMS, personalized newsletters, in-app push notifications, social posts, or paid media ads to engage. Understand visitor behaviour by age, gender, location and interests. 80+ reports to choose from. Add hundreds of thousand of new customers to the CRM database. Grow marketing lists. Proven to bring visitors back to the venue. High open rates, high repeat rates, for campaigns using Social WiFi lists. 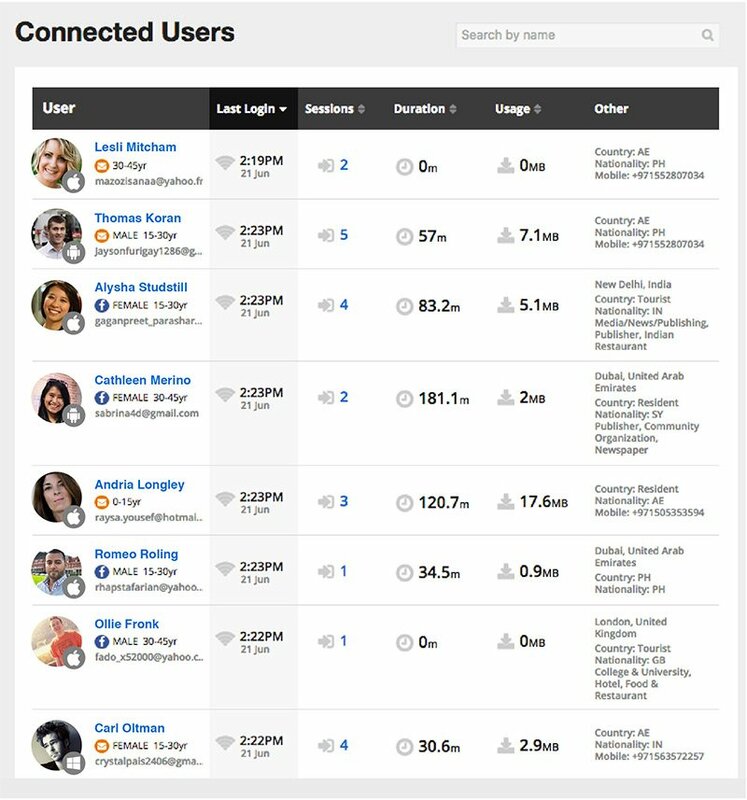 Aislelabs’ social WiFi software empowers marketers to monetize their free WiFi while enabling an easier one-click access. Now you can know who is visiting your premises and communicate with them on a personal level in a privacy friendly manner. Aislelabs’ offering works with your existing WiFi hardware with no new capital expense required. Our cloud based implementation allows you to deploy a customized social captive portal with ease. Simple to use web based dashboard for analytics and marketing. 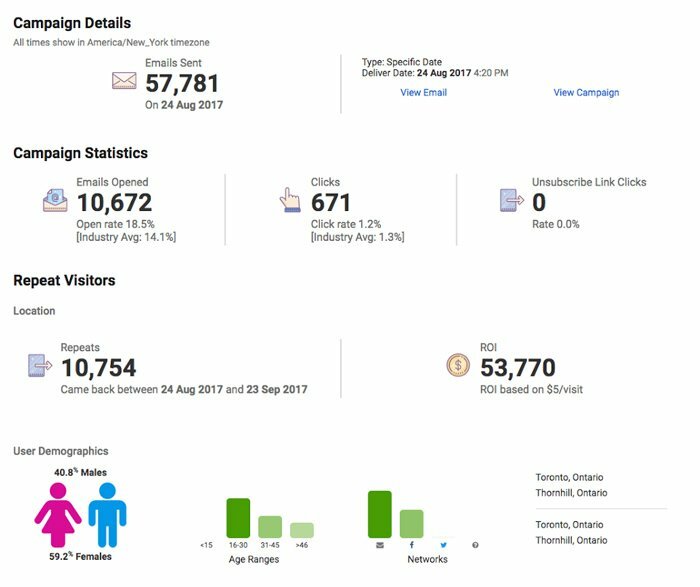 Easy to use web based dashboard for analytics and marketing. Interactive reporting with heatmaps and traffic analytics segmented by age, gender and interests. 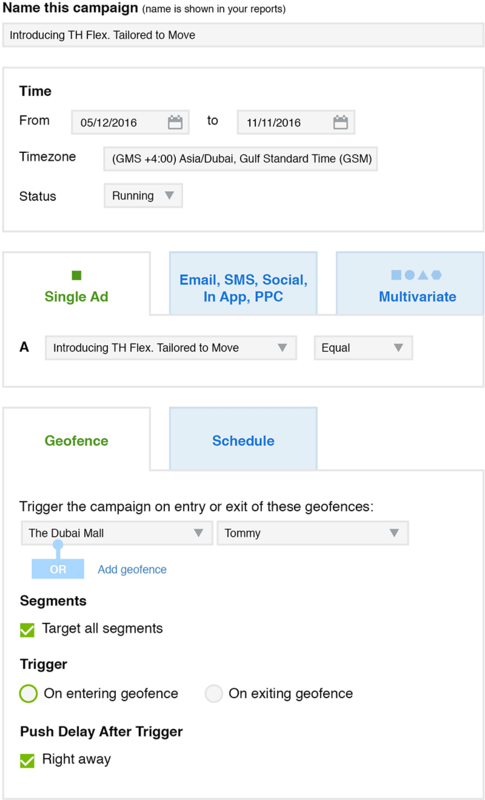 Real-time campaigns via email, SMS and social posts. Provide WiFi to your guests. Easy login with Facebook, Twitter, Email, and other popular social media accounts. Gather business insights and maintain customer information. Understand customer behaviour, age and gender demographics. See what your customers are interested in. Develop customer relationships. 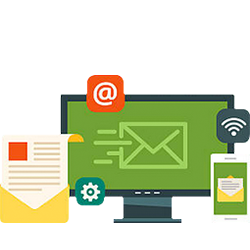 Offer targeted campaigns via SMS and email.